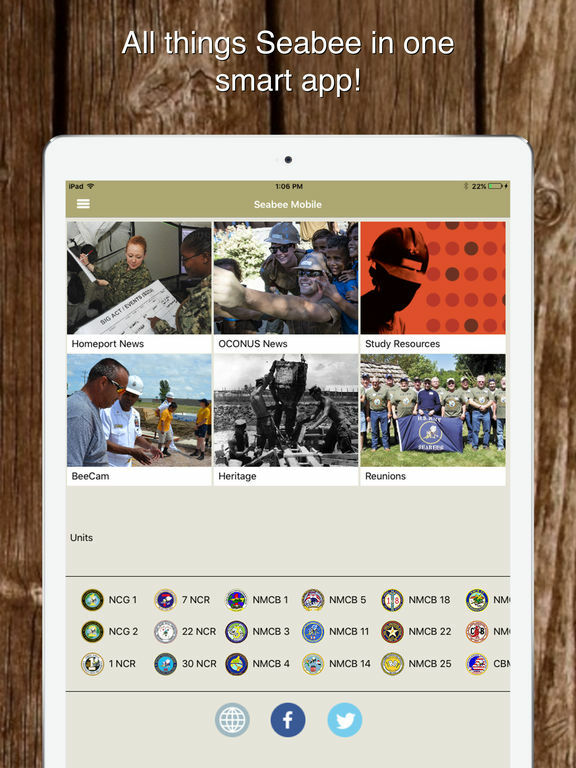 Seabee Online, the premiere site for the latest information on U.S. Navy Seabees, has gone mobile. 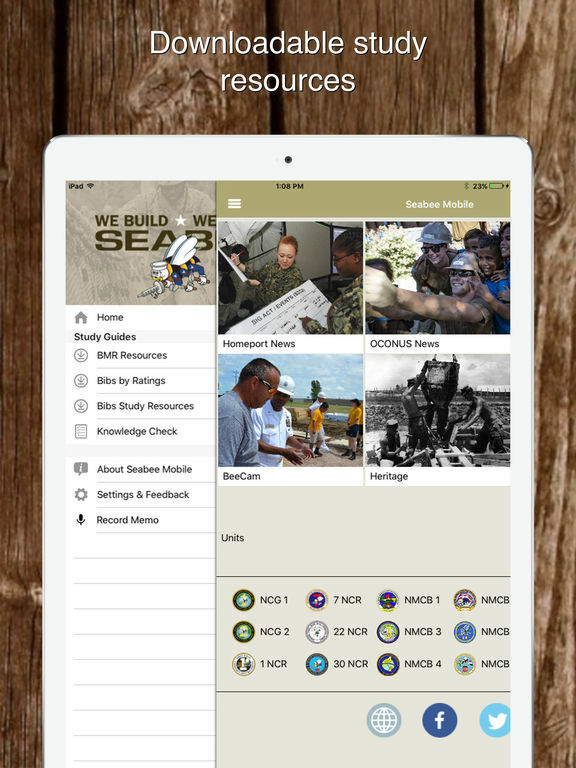 Seabee Mobile is an extension of the Seabee Online website. It pulls articles and photos from the site and places them into six different main sections. 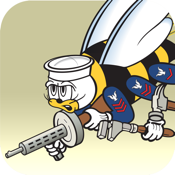 It also lists all Seabee units in the Naval Construction Force and populates them with articles and photos from each unit. 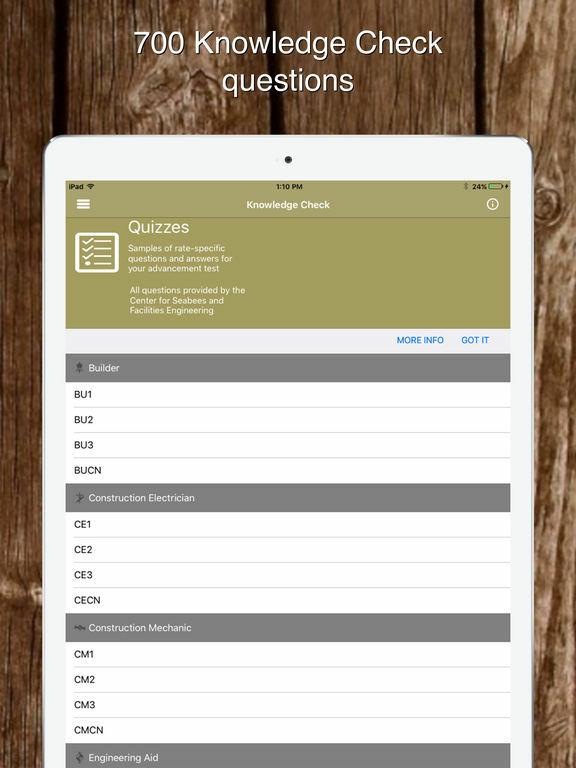 And for Seabees who are studying for their Advancement Exams, Seabee Mobile allows them to download rate-specific study material and practice tests..
Seabee Online users can now access all the latest features and articles found on the website through any mobile device. From the menu page, select any category to read the latest articles. Swipe left to see the next article in the category. At any time, select the top right button to share the article link via email, text message, Facebook, Twitter or any share application available on your mobile device.